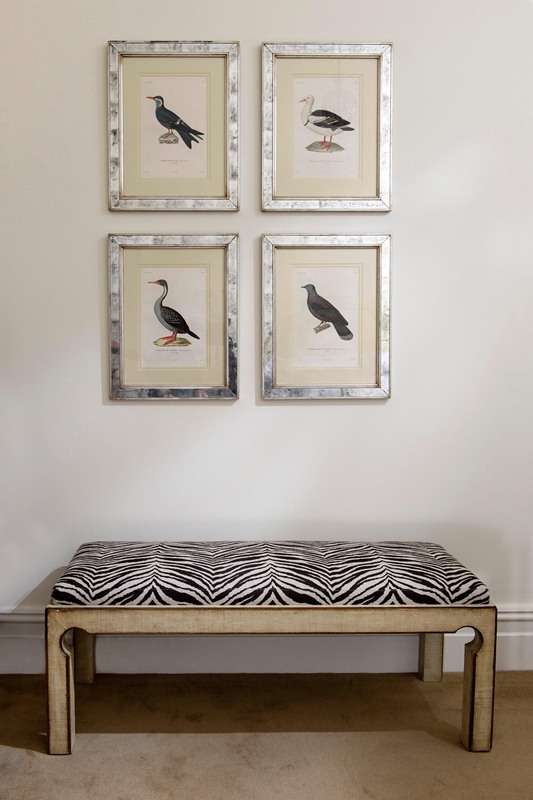 From early on I sensed my client was drawn to English design. I was very comfortable with this factor as I knew it would complement the original style of this Victorian period home. Like the rest of the house, the bathrooms and in particular the bedrooms keep evolving with time. 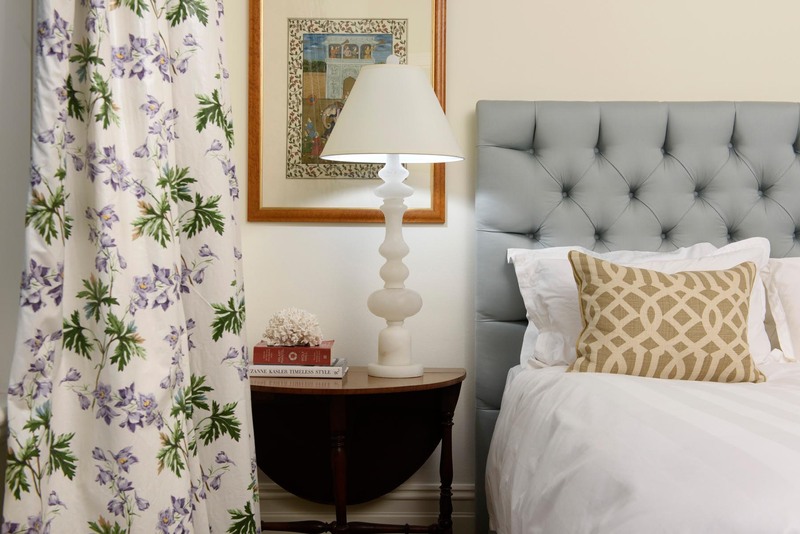 The master bedroom started with a pair of crystal lamp bases and bit by bit we have added to the room with GP & J Baker lampshades, a detailed bedhead, ottoman, antique bedsides and new carpet. The guest bedroom started with a roll of fabric which my client picked up on her travels; I used this for the curtains and worked on making the curtain design the feature of the room. 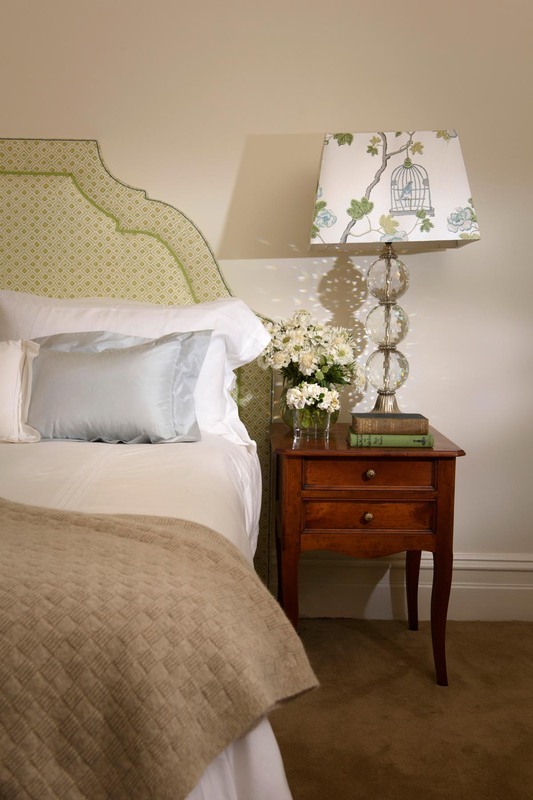 The bedhead, valance, antique furniture, carpet and Cromwells lamps all worked to complement the curtains. 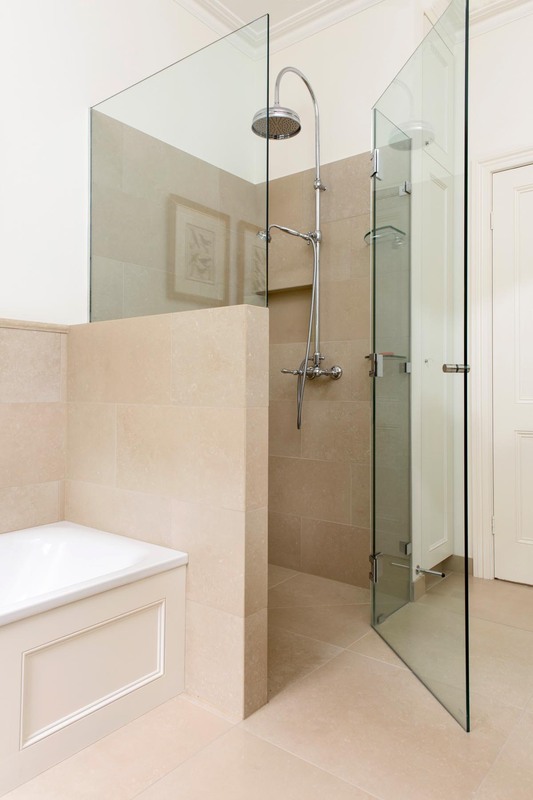 The bathrooms also exude English style with warm travertine tiles, detailed cabinetry and English inspired tapware. 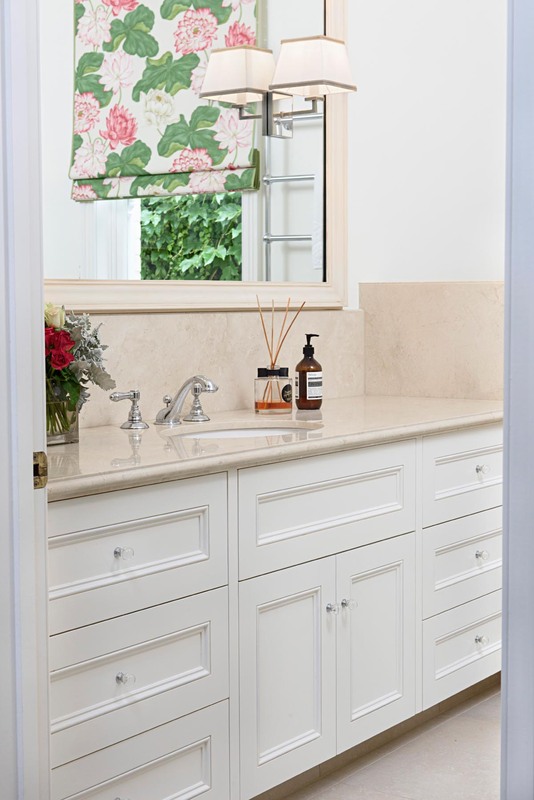 The introduction of the blind and wall lights make the coldness that can be so common in bathrooms non-existent, leaving the space feeling warm and inviting.